Hello! New video up now on the RER Instagram TV Channel! 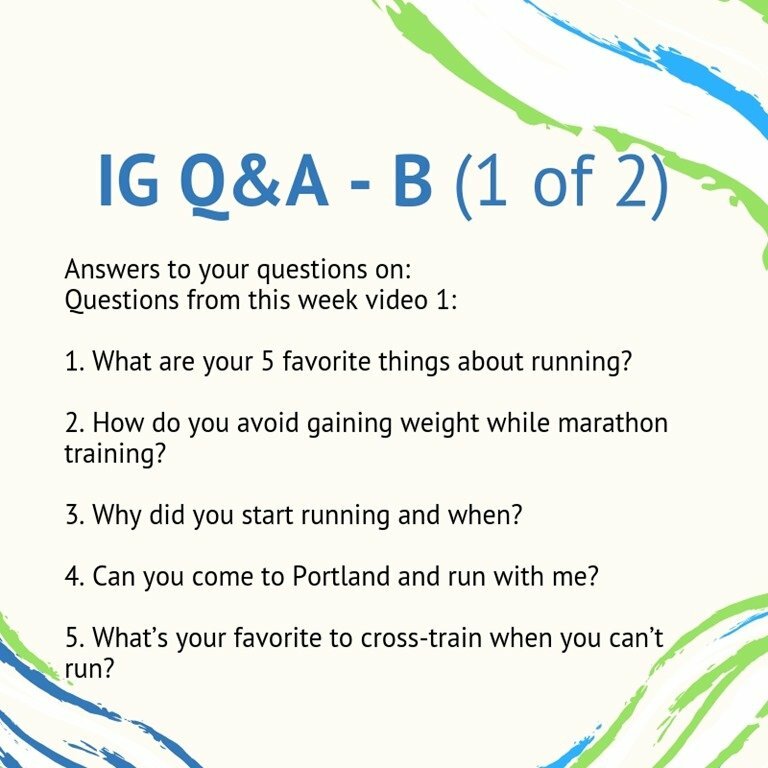 I split it up in 2 videos to make it easier to find the answer to your running, eating, food, random, life, love, etc questions! And there’s a new IG live video up now (and will be gone in 24 hours). 1. What are your 5 favorite things about running? 2. How do you avoid gaining weight while marathon training? 3. Why did you start running and when? 4. Can you come to Portland and run with me? 5. What’s your favorite to cross-train when you can’t run? 1. 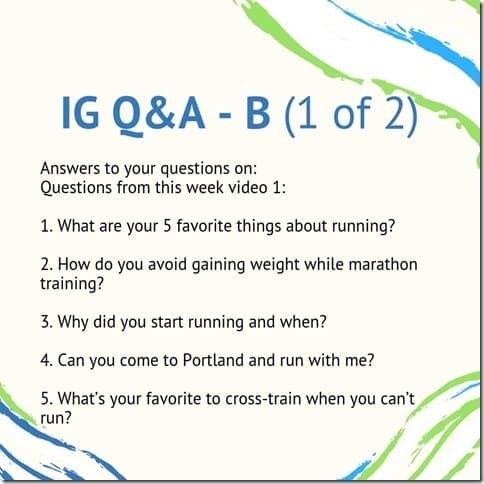 Do you run/walk long distances like half marathons or marathons? 2. Are you going to Shakira’s concert? 3. 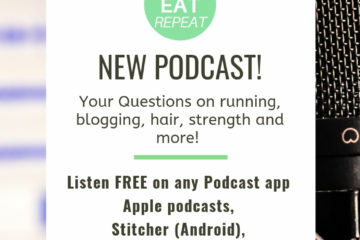 Can you recommend any podcasts that are like yours and Gina the Fitnessista’s? 4. Do you walk on any of your runs? 5. Have you ever had to pull out of a race? How do you deal with feeling like you failed? 6. Are you nostalgic? If so what makes you nostalgic? 7. What’s your worst health habit? 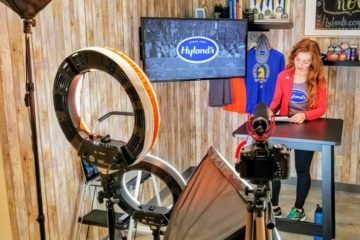 Check out the Run Eat Repeat Instagram TV channel here. 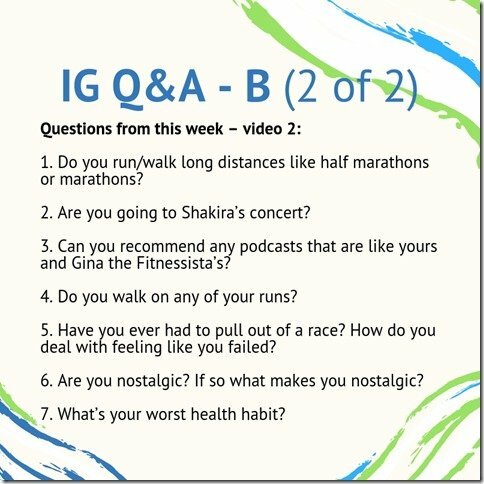 If you have a question – leave it in the comments, email me, leave a voicemail or put it in my instagram stories. 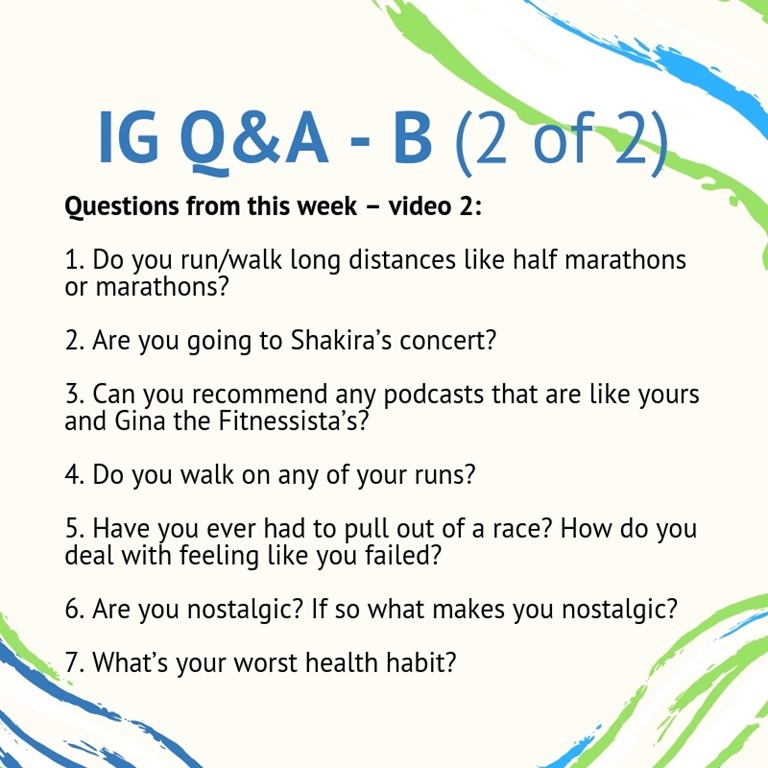 Each week I post a box for your questions in my stories and answer those in the next video!